All we know, hunting is a fun game in the modern era. However it is fun, sometimes it gets dangerous. So, hunters have to take full preparation before going to hunting. Keep in mind all the things even any small things. Take some ideas of hunting need groundwork about hunting safety system. Today we will share all the details about hunting safety system. Why Hunting Safety system essential ? Most of the time hunting related accidents occur that involves tree stands because hunter does not pay attention to fall protection. So, should be familiar with all the hunting safety system. So, hunting safety system is a protection shield for hunter and hunting associates. This system has some tools and equipment like a harness, lifeline, tree strap etc. According to some new research in current years, hunters die from treestand than gunshots or others. Every time Hunter injured from treestand to shocking outcomes, hunters family, friends influenced also. Everyone has to stay safe and sound for him/herself and families as well. Nowadays outdoor writer, hunter TV personalities also use hunting safety harness for their protection. There are some tools included in the hunting safety system. These tools provide ultimate safety to a hunter in the hunting field. We love to discuss all the Hunting safety system tools. Here we go. It is a protective form to hold a person to prevent falling or wound. In short, we can say safety harness is a protection belt. It protects the body against to fall from the tree, hill or any high place. Hunting safety harness must be wear on climbing a tree, ladder hunting stand, tree step or hang on a step. After reading the name, you can relate how it is. It is the safest safety harness among all. It designed like parachute type and attached to the full body. This type of harness is reliable & safe. It provides almost same protection like a parachute or full body harness. It secures almost the shoulders, waist and legs. Single strap harness is not measured a safe protector. This type of harness causes critical limitation in the hunter’s chest area. If a hunter falls from the tree, it made difficult to breathe and move also. When using treestand, always try to use a full body harness. Chest harness has almost same features like a single-strap harness. No one preferred it anymore. There are adequate reasons for using hunting safety harness. Take a look at the 2 extreme reasons why hunter uses a safety harness. Self-rescue: Hunting safety harness rescues wearer from any hard or harsh situation. Protection: It can protect hunter from falling down the high tree, hill etc. If a Hunter falls from tree stand dressed in safety system harness, then full pressure distributed on the hunter’s body, it may cause less injury. Fishing harness specially designed for stand-up fishing. Usually, it can hold up about 50 pounds. Padding, Quick release collapse, kidney - hold up make it easy to stagger large fish. For the reason, fish hunter feels less pressure in shoulder and back. It is mainly used by rock climbers. 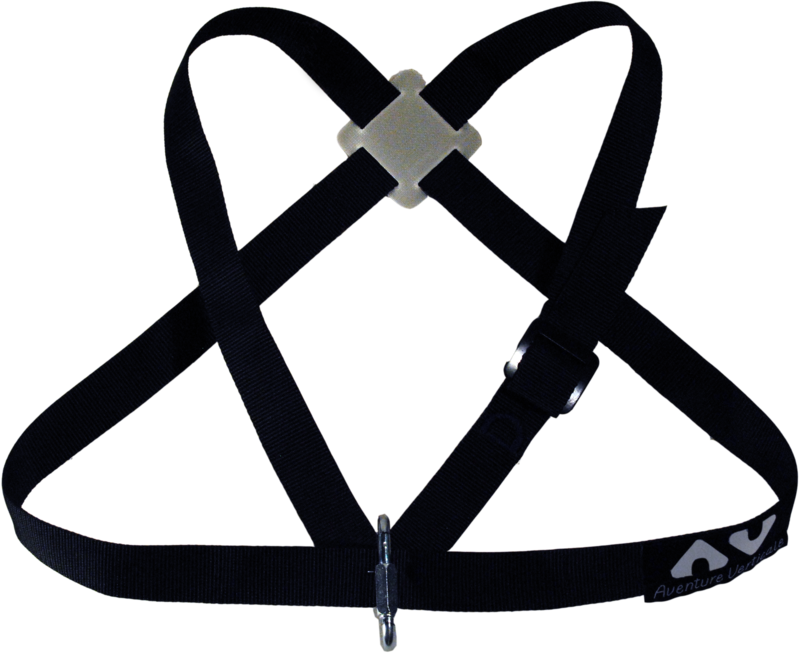 Climbing harness specially designed for building–in-padding, gear loops for shipping tools. It provides comfort and safety. Before every use, the harness must be inspected and after use should be stored in following the rules below. Harness should be store in a dry, clean and cool place. The place where you will save the harness, make sure the place is not exposed to extreme heat or direct sunlight. Before storing clean the harness with dampening cloth or sponge in a mild soap solution. Avoid harsh detergent or chemical solution. After cleaning harness have to dry in the air. Avoid forced air or direct heat. If any harness arrest to fall, immediately replace with a new harness. It is an effective lifeline for climbing style tree stands. The rope style lifeline constructs climbing easier and safer. It holds you attach constantly during climbing and hunting both. The rope can adjust most of the trees and permit for each 360-degree shoot from nearly any range. Fix with a simple loop, hunting lifeline rope style around the tree. It has an easy to adjust knot for additional modification. A climbing harness is perfect for climbing high hill, rock or ice hunting area. It has a waist belt, leg loops, gear loops, buckle, haul loop, belay loop, tip-in points and elastic straps. Keep your gear near in hand. It is pocket size and very lightweight, less than 1 ounce. Folding Accessory hook is best for holding binoculars, range finder or other tools. After using this you can fold the screw. It is a new addition to hunting safety system harness. It is designed to give some extra storage space that harnesses keep safe. Made of a durable unbreakable nylon. It has a belt loop and quick-snap leg strap﻿﻿﻿ to adjust for carrying position. There are plentiful features of every hunting safety system tools. Most of the system has around same features. Some of the outstanding features are 8 pockets, easy initialization. Quick snap buckles which get rid of hanging straps that hamper with a bow string. They are lightweight, good quality. Hunting is a refreshing game﻿﻿﻿ for the hunter. But one thing must keep in mind you have to stay protected always in the hunting field. One mistake can destroy your life forever. ​Just learn by heart and maintain simple 3 R’s rule – Rescue, Relief & Recover.